Learn two dances and how to combine them! otherwise $25. Simply bring payment to workshop. Check or cash. Space is limited. Early sign-up helps to secure a spot. Learn two important American dances. No partner required for the workshop. We will rotate students, although this is optional if you prefer to stay with a partner. As always, this will be a fun, "no-pressure" workshop. Bring your smile! We'd love to have you there! 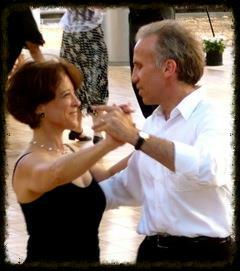 Students should have some partner dance or Contra dance experience.